America Singer lives in a futuristic America in which, after a series of World Wars, society has been restructured as a class system. There are eight castes who each perform different duties. America is a 5, the artistic case, who earn their money by performing during national holidays and for the wealthier families. Intermarriage between castes is highly frowned upon and America’s mother hopes that she will raise their status and support them financially by marrying into a caste above her. America, however, has been in love with Aspen, the son of a family friend and a caste below her, for her entire life. The country is governed by a regency and the state announces that it’s time for The Selection, an event in which 35 girls are chosen from a lottery and one of them selected by the Crown Prince to be his bride. America reluctantly enters the drawing at the pushing of her mother, and is shocked when she is chosen. Soon, she and 34 other girls are swept into the palace to live a life of luxury while getting to know the Prince. This is a light and immensely readable book – I read it in two sittings flat. America is an immediately engaging heroine, mostly the story is told in first person and Kiera Cass makes America spunky and blunt but with believable fragilities and small selfishnesses that make her human. Oddly, however, it’s the first half of the book that’s the strongest – America, her relationships with the various members of her family, and her relationship with Aspen are all well-developed. The romance that develops in the second half, though….there’s exactly enough good romance in this book to make one compelling relationship, not too. Cass attempts to set up a love triangle between America, Aspen, and Prince Maxon, and several of the scenes with Aspen and Maxom, respectively, are very compelling – but wholistically Aspen and Maxon each feel like half of a fully-rounded character. Aspen is too simple to be completely interesting – the two main drives of his life appear to be to survive and to be with America if he can, and he doesn’t have the complexity to grapple with the changes in America while she lives at the palace, or the broader social and political forces in the country. While Maxon adheres too closely to that “white prince/knight in shining armor” pattern – he’s painfully nice, formal, and innocent for much of the novel. Both male leads would have been more interesting if they had more bite to them, a little more of a rough edge. Maxon improves greatly as the novel goes on and there’s a lot of gripping and very cute scenes between Maxon and America as the romance builds and they shift from initial, wary friends into something more. There’s humor and occasional arguments and some unexpcted shifts in the relationship. For that reason alone, the book is worth reading. The worldbuilding is extremely linear and simplistic – there’s a caste system in which the lower castes are treated badly and rarely have enough food, a regency, and a largely unexplained force of rebels who attack periodically. The social problems are treated with eye-rolling reductionism when Maxon makes a socialist choice toward the end of the novel to spread the wealth more, and the rebels are never explored nor explained. Nevertheless, the romance is fun and occasionally giddy and far more addicting than it has a right to be. This book reminds me a great deal of The Lunar Chronicles by Marissa Meyer; both are told from first-person teen girl perspectives, heavily romance-oriented, and set in futuristic dystopias. I would say that is not nearly as good as Cinder, but better than Scarlet, at least as far as romance (Meyer’s worldbuilding is far more sophisticated and interesting). 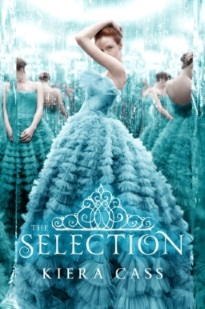 Having said that, The Selection is limited by being so structured purely around romance; it hints at deeper issues, but unlike The Lunar Chronicles, ultimately includes little to no conflict or stakes other than relationships. Making it very enjoyable, but slight.